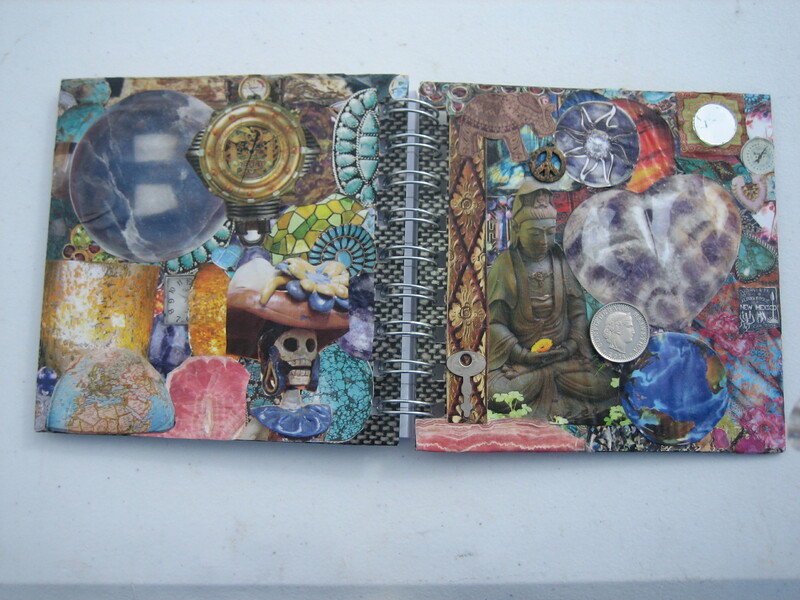 My latest collage project was decorating a book for a friend. I found a small notebook with hard covers for a good price at a thrift store. The images on the covers were ugly, so I decided to collage and decoupage. 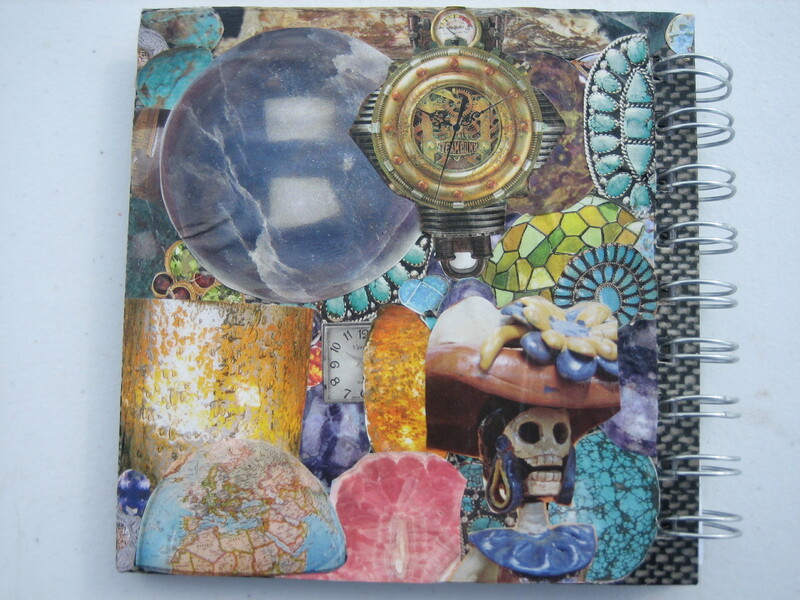 This is the front of the collaged book. The mirror, key, peace sign, and coin are actual objects, so this is a mixed media piece. 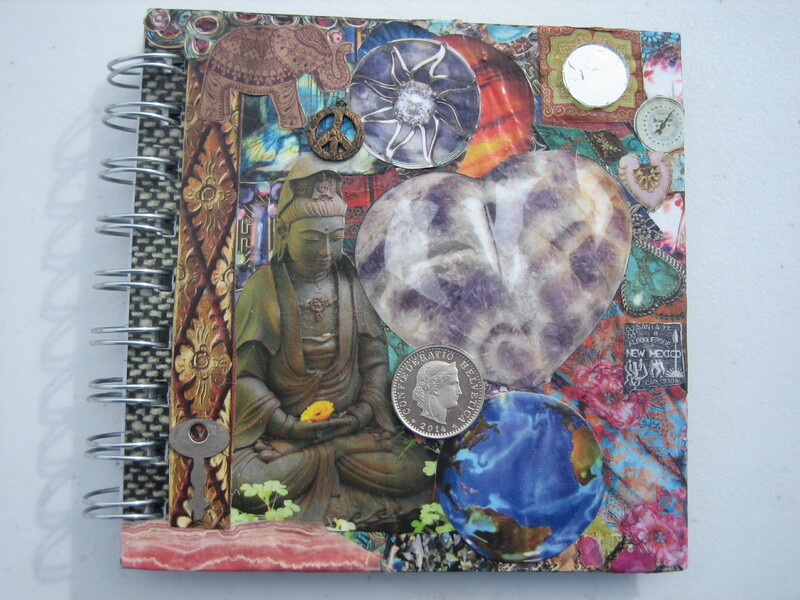 This is the back cover of the collaged book. This is what the front and back covers look like side by side. My friend is going to use this book to log her travels in her Dolphin motor home. Damn! Blaize, those are really awesome! You are really talented! Oh, thank you so much, Liselle. I appreciate your kind words, and I appreciate you reading my blog. This, and the chair tray you posted previously, are beautiful! !